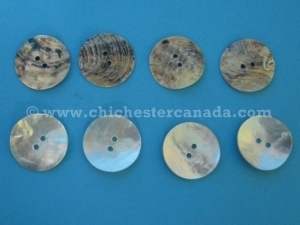 Sometimes called agoya shell buttons, these are made from saltwater mother of pearl. They have two holes, very thin and slightly curved. 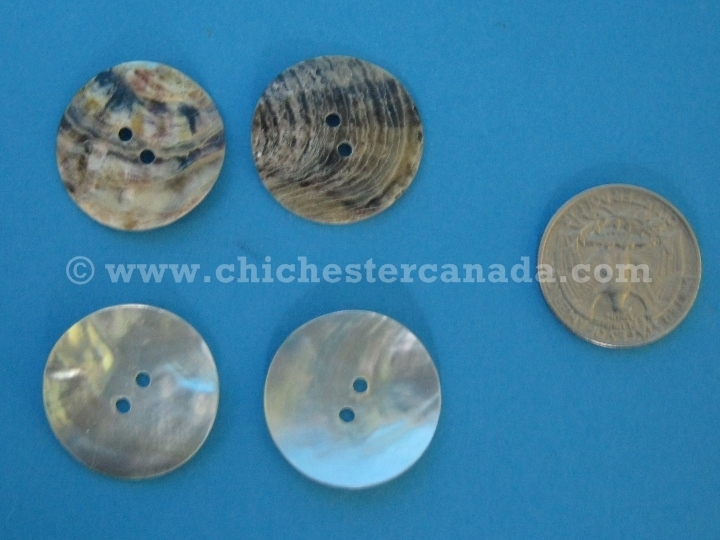 They measure about 2.5 cm across.